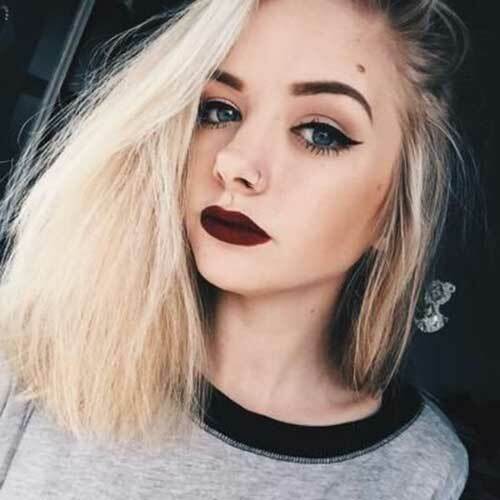 Women with round face generally find it hard to sport trending short hairstyles. 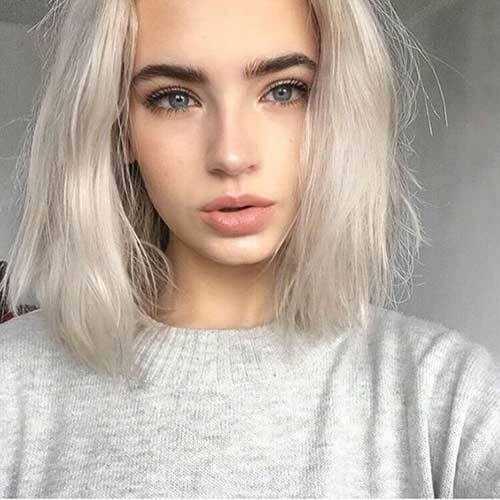 However there are many different short haircuts that will look great on women with round face. All you need to do is find a haircut that won’t make your face look rounder. Lightly layered long bob is always a good idea for round faces, as you can see layering will make your face look much more oval shaped. 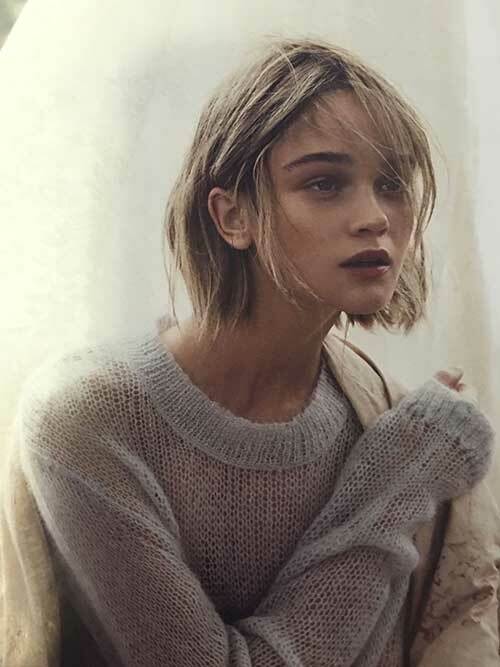 If you want to sport a short bob hairstyle you need to add in some layering and angled haircut is a good idea too. 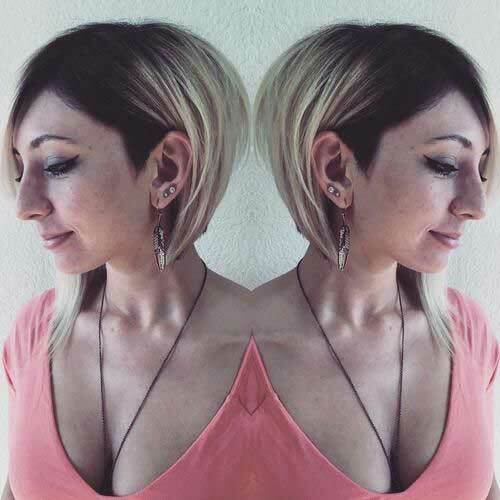 Here is a cute short bob hairstyle with messy style and choppy layering. 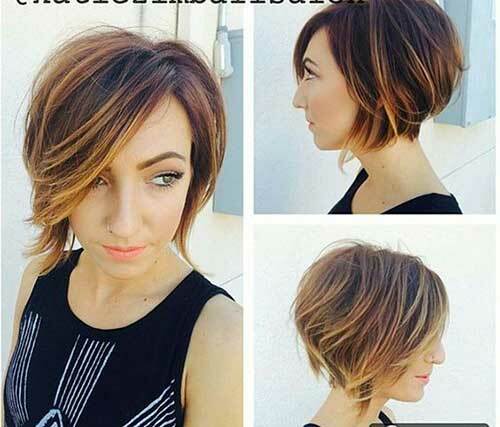 This wavy bob hairstyle with blunt cut is actually asymmetrical and make her look much more modern and stylish. 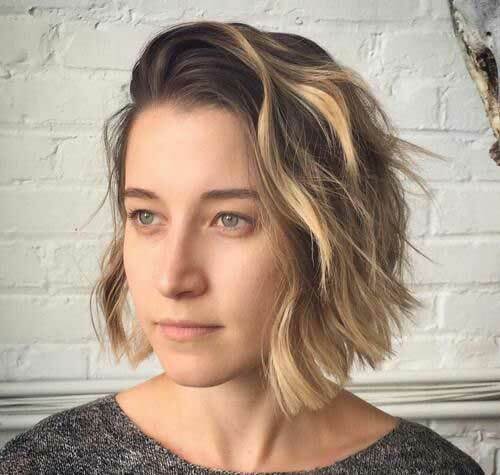 Bob haircut with dark roots, asymmetrical style and undercut is perfect for thick hair, it will make your face look thinner too. 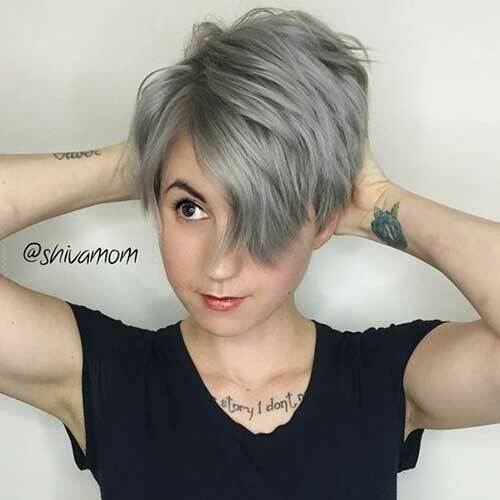 Gray pixie bob style with layering is a nice inspiration for young women. Short bangs would be a great choice if you have round face and bo haircut but you should avoid long bangs to prevent more rounder look. 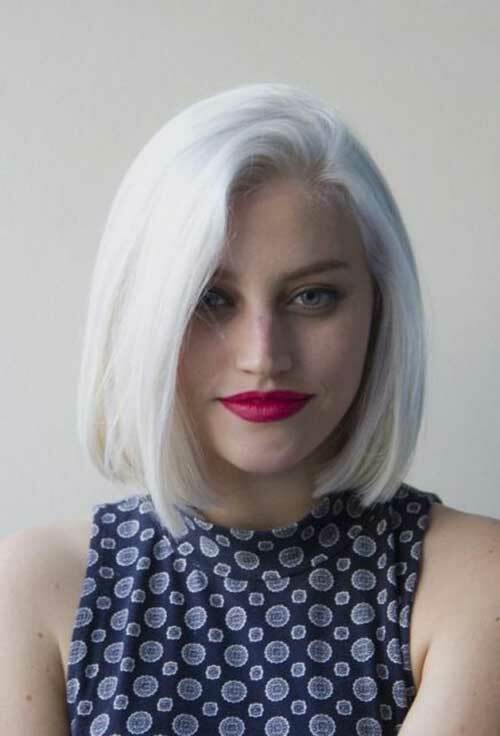 Platinum blonde and gray hair colors are very popular among young women and this bob haircut is perfect for women who have thick hair. Angled bob hairstyles are definitely right choice for round faced women because frontal strands will make your face look much more longer. Long bob is one of the most preferred hairstyle for women because it will look great on every face shape including round face shape. Layering is the key to a perfect short hairstyle and this rose gold short haircut looks modern and chic.